Hans Christian Andersen's story, The Ugly Duckling, tells a tale of a ugly bird suffering abuse from other animals until at last the bird transforms into a beautiful swan. It's a prelude to current times, except the transformations taken today aren't just the awkward teenage years, but elective cosmetic surgery. Children as young as four years old are undergoing cosmetic surgeries. Many of us have childhood school pictures to prove we, too, were once weird looking kids. And here's a question for you. Would you have chosen an elective cosmetic surgery given the opportunity as a child? 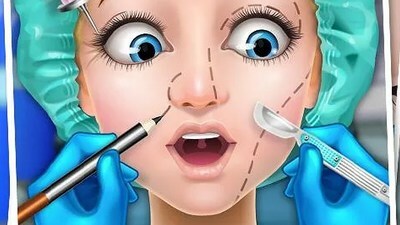 The American Society for Aesthetic Plastic Surgery reported children under the age of 18 underwent more than 214,000 cosmetic procedures in 2015. Many parents are facing this very decision with their children which raises questions regarding medical ethics and the age of consent. This article rightly points out that children are simply not mature enough to know that the cosmetic surgery decisions they make can have repercussions as they age. Which leads us to another question, who's truly making the decision the child or the parent? The lack of legislation and medical guidelines surrounding cosmetic procedures for children coupled with limited research on potential benefits and risks complicate the discussion. And it certainly doesn't help that “medically necessary” is completely subjective. Helen Gerhard, whose son recently underwent an otoplasty procedure, said “the kids at school were brutal to Aidan, they called him Dumbo.” She said the bullying played a part in her decision to consent to the ear procedure. Aidan is 7 years old. This study states there may be “significant psychosocial benefit” to the procedure in children as young as four years old, if the child expresses “concern about the deformity.” Otoplasty is the most common cosmetic procedure in younger children, as the ears are approximately 90% full size around the age of five years old. While otoplasty, the reshaping, moving and augmenting the outer ear, is the most common cosmetic surgery in younger patients, many older children are electing rhinoplasty, liposuction and even breast augmentations. Most of these procedures are done in an effort to improve the self-esteem and self-image of the child. Does it have the desired effect? Many doctors and researchers aren't convinced. Pediatric plastic surgeons say they watch the child closely to be sure a parent or in the case of older teens a boyfriend or girlfriend isn't forcing the issue. Yet, celebrities and many television personalities openly discuss their procedures and many reality shows depict the subject. Not surprisingly, plastic surgery procedures are on the rise across all age ranges. Another factor to consider is the potential risks associated with cosmetic surgery which can be exacerbated in younger patients. Anesthesia complications, organ damage, infection and nerve damage are among the most common risks facing patients. Do the perceived benefits outweigh the risks? Thousands of parents worldwide apparently think so. While most cosmetics surgeons refrain from operating on still growing and very young patients, another risk to consider is the effect of additional growth. Many plastics surgeons will not perform rhinoplasty on girls under the age of 13 years old and boys under the age of 15 years old for this reason. 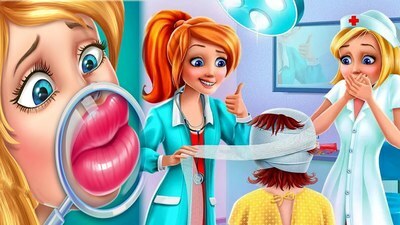 With more maturity and life experience, will the young recipients of cosmetic plastic surgery regret their decisions? What about those children who didn't even make the decision, what repercussions will the surgery have for the family? If you're a parent or family member facing a similar decision, weigh all of your options and review all of the research to make the best decision for you and your child.